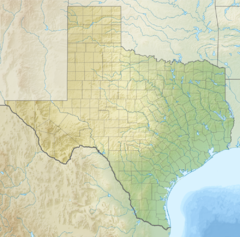 The area was granted by the State of Tamaulipas to Ygnacio Trevino on January 24, 1829, as part of the Potrero de San Martin Grant (Brazos Island was granted separately and earlier by the King of Spain). A road was built down Brazos Island, across Boca Chica Bay to the Rio Grande in 1846. To cross Boca Chica Bay, General Zachary Taylor built a floating bridge[when?] to transport military supplies. Some of the cypress pilings still stand north of a monument. In July 2007, Texas Parks & Wildlife entered into a 50-year lease agreement with the United States Fish and Wildlife Service, and is now part of the Lower Rio Grande Valley National Wildlife Refuge. Activities permitted on the adjacent Del Mar and Boca Chica Beach include picnicking, wading, swimming, birding, natural history observation, camping, fishing (with a license), and surfing. All are subject to disruption by offshore storms at any season and from June through November by tropical storms and hurricanes. On August 4, 2014, SpaceX announced plans to build a private spaceport adjacent to the park. Construction began in September 2014. ^ Martinez, Laura. "SpaceX will build launch pad near Boca Chica Beach". The Brownsville Herald. Retrieved 20 February 2017. ^ Foust, Jeff. "SpaceX Breaks Ground on Texas Spaceport". SpaceNews. Retrieved 20 February 2017. This page was last edited on 8 September 2017, at 15:03 (UTC).